Blogger D. Yobachi Boswell over at BlackPerspective.net, rightfully challenged black bloggers on the issue of coverage of the Jena 6. Accurately, he points out that the issue of the Jena 6 is rarely covered by the mainstream media and more important by the very black bloggers that pushed the issue to the forefront of international media just eight months ago. It's important to note that as the case continues, a hearing is scheduled for this Friday to consider a motion on behalf of the Jena 6 to remove Judge J.P. Mauffray from the case for judicial bias. Judge Mauffray is at the heart of the disparate judicial rulings in the Jena 6 case. Like many, I have my reasons for abandoning the topic and I'm sure you do also. For me, the presidential election has consumed most of my energy especially with Barack Obama on the verge of being named Democratic Party nominee. I must also confess that I had concerns about the actions of some of the Jena 6 and did not want to continue to be disappointed. That being said, the Jena 6 issue is not as much about the young men involved as much as it about the situation happening in the first place. The decisions of the Jena , LA leaders following the initial incident and the violation of the civil rights the Jena 6 and the black students at Jena High School cannot go unabated. 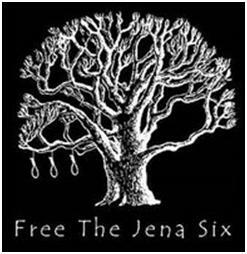 I ask you to join me and other bloggers in covering the Jena 6 story, regardless of findings, until the issue has reached its conclusion. I'm adding the Jena 6 back to my news alert list. Will you do the same? 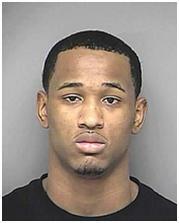 Howard Witt reports that Jena 6 defendant Bryant Purvis was arrested for assault at his Texas High School. This is so unfortunate as it will likely be used against him in plea bargain negotiations and diminishes efforts to highlight the disparate treatment of the Jena 6 who are black. I am not surprised this incident occurred; as a matter of a fact, I'd be surprised if these guys didn't experience more legal troubles. In the efforts to fight for the freedom of Mychal Bell and against the treatment of these young men, was counseling provided? Offered? These young guys were the center of an international incident that exposed the ugly harsh realities of hatred and prejudice in the United States. It must have been very tense, somewhat frightening and quite overwhelming. Prayerfully, all the folks involved, even Justin Barker, the white student who was beaten, will get some counseling. These kids are too young to deal with this for the rest of their lives without any emotional/psychological help. A rally is scheduled in infamous Jena, LA on Monday, the federally-recognized Martin Luther King holiday. This time the rally is planned by the Mississippi-based Nationalist Movement, a white supremacist group. The protest is against celebrating the birthday of Rev. Dr. Martin Luther King and the support generated for the Jena 6. To make matters worse, the group will be armed…strapped…packing. What a lovely picture of America? The Justice for Jena march and rally will bring more negative attention to that area and again paint their residents as racists. If there is no public denouncement of the Movement's planned protest by the town's leadership, the people in the town will be forever scarred and accurately depicted. Jena 6 defendant Mychal Bell accepted a plea deal that may see him released next year. Read Howard Witt's coverage at The Chicago Tribune. I guess this is the win-win situation in that neither side got everything they wanted. While I'd like to be happy about this decision, I'm not. 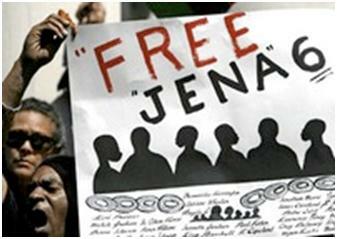 The racial problems in Jena, regardless of the disavowal of some residents, still exist. 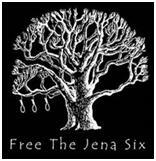 The 'White Tree' was cut down at Jena High School but the cancer of racism still festers. Justin Barker's role in the unrest and the attacks on other black teens still haven't been addressed. And let's not even get into using some of the Jena 6 for their athletic prowess and not arresting them until after the football season was over. 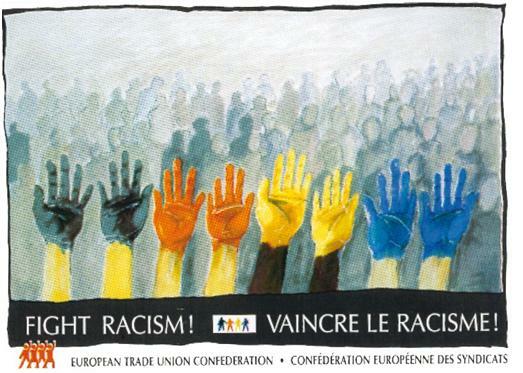 Until the issue of racism is actually addressed, whatever happens in Jena will be just like putting perfume on a pig. It still stinks. In another setback for LaSalle Parish District Judge J.P. Mauffray, the upcoming trial proceedings of Mychal Bell will be open to the public and the media in a lawsuit brought by the Chicago Tribune and other media outlets. Mark your calendar and stay alert for the December 6th trial. Click here to read Howard Witt's coverage of this latest episode in the Tribune. HOUSTON - Replying to a lawsuit filed by a coalition of U.S. media companies, the judge overseeing the trial of Mychal Bell, one of the teenage defendants in the racially charged Jena 6 case in Louisiana, reversed course Thursday and agreed to open Bell's upcoming juvenile trial to the public. But LaSalle Parish District Judge J.P. Mauffray, in a court filing, maintained that he is not required to open pre-trial hearings in Bell's case to the news media or the public, and he argued that the media lawsuit seeking full access to Bell's case should be dismissed. 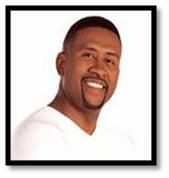 The sound that you hear is radio talk personality and author Michael Baisden being slammed all over the media. Pick a format --- print, radio, television, internet --- and Baisden's beat down reputation litters the place. It is what it is. Check out Howard Witt's coverage at the Chicago Tribune and then read Glen Ford's slicing and dicing of Baisden and others over at the Black Agenda Report. When monies are involved, someone is likely to try something funky. In the case of the Jena 6 and other fundraising initiatives in which Baisden and others profit, it's time for the pimpin' and getting pimped to stop. The Chicago Tribune and other media outlets have filed a petition for access to Mychal Bell's upcoming criminal trial. It seems unreal that the media would be forced to do so. At this point, any ruling from a Louisiana court should come as no surprise. It would likely not be in the best interest of the State of Louisiana to actually allow the public to see how its judicial system is run. Sometimes it difficult to determine whether we're in 2007 or 1957. Stay tuned for results of the decision. Click here for Chicago Tribune article. The Jena 6 situation is getting uglier and uglier. Louisiana State District Judge J.P. Mauffrey Jr. sentenced Bell to 18 months in the juvenile facility for four previous offenses, including two counts of simple battery and two pertaining to criminal destruction of property that occurred before the beating of classmate Justin Barker, according to The Associated Press. This is yet another shameful move that continues to show the terror under which Blacks live in, not just in Jena, but the entire United States of America. Nooses being hung on college campuses on on job sites, it's way past time for this madness to stop. Just so there's an accurate picture of the judge's decision, Bell has been placed in a juvenile detention facility. It's not an adult prison but he's still incarcerated. I've seen blog posts about John Mellencamp's powerful song about Jena, Louisiana and the Jena mayor's unhappiness about it. Now that I've seen the video, I can understand why the mayor would be upset. When a major recording star such as Mellancamp pens such a critical song, the story of the negative environment blacks endure in Jena finds an even larger audience. The fact that Mellencamp is Caucasian also frames Jena and the trials and tribulations of the Jena 6 as a wrong or right issue, not just a black or white issue. Unfortunately, many will think the song is only about Jena when it's actually about any situation of racial injustice. 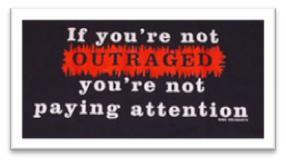 The news has been filled with too many reports of racial violence and threats. As in the previous post, "Here a Jena, there a Jena…"